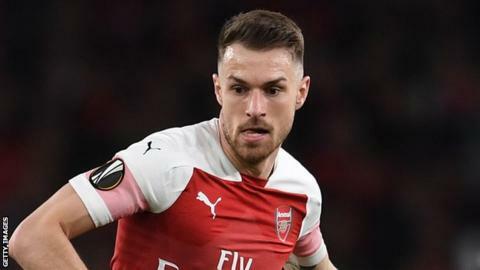 Juventus have pulled off a "great coup" by signing Wales midfielder Aaron Ramsey from Arsenal, says AC Milan and Italy legend Franco Baresi. "I've seen him play. He's obviously a great player," he said. "I think Juve has really landed a great coup there and I'm sure he'll be able to adapt to Italian football." He will be the highest-earning British player ever based on basic salary - having signed a four-year contract worth £400,000 a week - and joins a Juve side which has won seven consecutive Serie A league titles. That was one of the displays which caught the eye of former centre-back Baresi, who was voted Milan's player of the 20th century and had the club's shirt number six retired in his honour. "Juventus has owned Serie A in the last few years so it's important to see what the other teams can do in terms of growing," said Baresi. "Champions League qualification will be very important for Milan this year. It brings in money, it brings in opportunities for investment and chances to progress so it's important."